Discussion in 'General & Upcoming Kingdom Hearts' started by lockedongamer, Mar 14, 2015. I can't believe this isn't being talked about yet on here! Disney was developing a game for Kingdom Hearts called Fragmented Keys. It was going to release on iOS and Android as a free-to-play game. A lot of concept art has been shared, and there are new worlds! Frozen, Wreck It Ralph, Tangled, Lilo and Stitch's Hawaii, and most shockingly, Star Wars were shown. Perhaps this is a sign of what worlds will be included in Kingdom Hearts III? This is what a developer said about the game. This is interesting, but I'm pretty sure it's fake. Some of the game's shown concept art is identical to previously seen concept art for the movies--in particular I recognized this concept art for the Frozen world, and some of that Lilo and Stitch art looks taken straight from the movies or TV show. Others commenting on the news report on KH13 recognized movie concept art from Tangled, and that many Disney characters in the art were simply renders from other KH games slapped in there. The very inclusion of Frozen makes it even unlikelier, given the production window is listed as September 2011 to March 2013, and Frozen wasn't released until November 2013. Also, I find the fact that the company's purported website is only a Blogspot page with rather shoddy layout and design, especially for an animation company, highly suspect. ...Sorry to be the Debbie Downer. I wonder if Square-Enix had anything to do with its cancellation, and whether it's cancellation was similar to the cancelled Kingdom Hearts TV show (which was cancelled so it wouldn't clash with what happens in the games that were being developed at the time). And even though I was vehemently against having a Star Wars world... the idea of whacking the battle droids shown in the concept art with my keyblade made the 8-year-old inside me giddy with excitement. The very inclusion of Frozen makes it even unlikelier, given the production window is listed as September 2011 to March 2013, and Frozen wasn't released until November 2013. I don't really see this as an issue. Frozen has been in development from late 2011, and knowing Disney, they tend to do things like this with all their upcoming movies (even when they didn't know how big or little of a success that movie will be). Well I hope this means that we can have Star wars/frozen in KH3, and they cancelled it so KH3 had the first experience with these worlds. 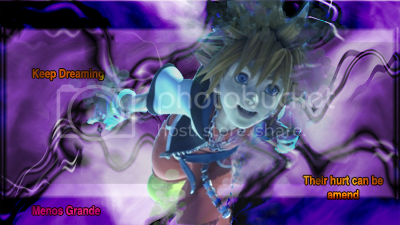 Looks like my summer vacation is over Sora.